Ready to start your quit journey? Why quitting is the smart choice – Check out these facts! • Did you know there are approx. 19,000 smoking related deaths each year, and smoking tobacco is the largest single preventable cause of death and disease in Australia. • 41% of Aboriginal and Torres Strait Islander peoples smoke compared to 13% of the Australian population. • Tobacco smoke contains more than 4,000 chemicals including at least 60 that we know cause cancer. Going Smoke-Free will have a significant and positive effect on your overall health and wellbeing. You’ll feel like you have a new lease on life – fitter, healthier, more able to embrace life to the fullest. And the great thing is, it all starts from the very minute you decide to quit. You aren’t alone in your quit journey. 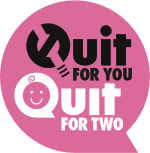 There are heaps of places you can get support and information to help you quit! Take the first step, contact NCACCH to arrange an appointment with a Tackling Indigenous Smoking Support Worker and discuss your eligibility to be referred to the “No Durri for this Murri®” program admin@ncacch.org.au or 5346 9800. Using technology can be a great distraction from smoking and keep you busy when you’re quitting. Try the following free Apps for motivation and support. Use the My QuitBuddy App for motivation and support. Set your own goals and record messages from loved ones. Log daily progress and view the health benefits that you’ve reached. Try the My QuitBuddy App today! This App’s designed to give pregnant women encouragement and support to quit smoking. The App provides interesting facts about your baby’s development to help mums stay motivated. What is Nicotine Replacement Therapy (NRT)? NRT products deliver small amounts of nicotine to you. This allows you to reduce your withdrawal symptoms and cravings. Products include patches, gums, lozenges, inhalers and sprays.